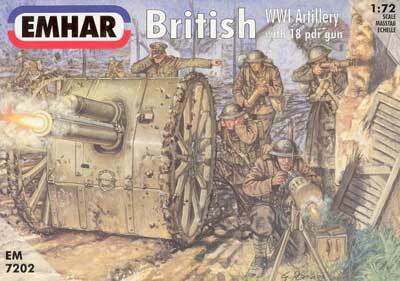 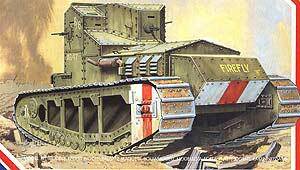 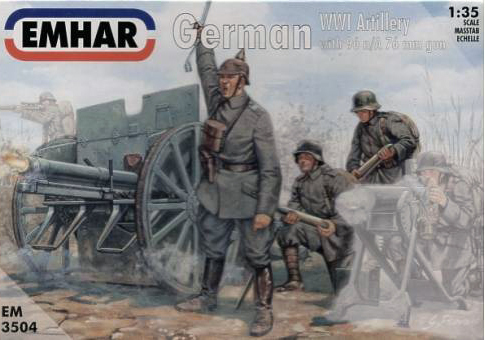 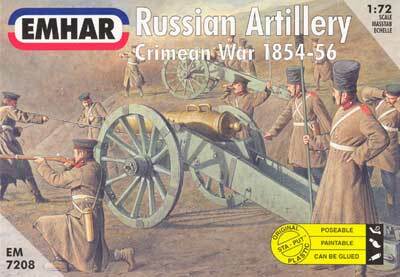 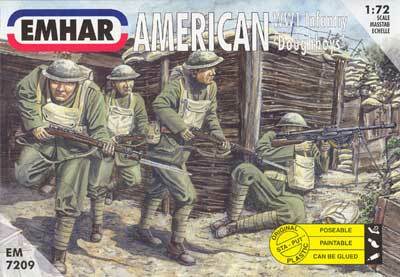 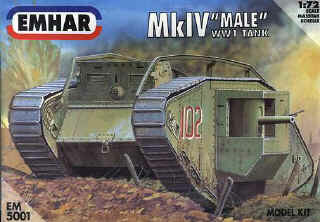 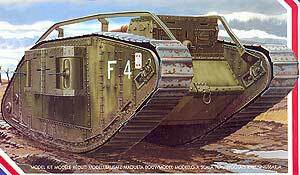 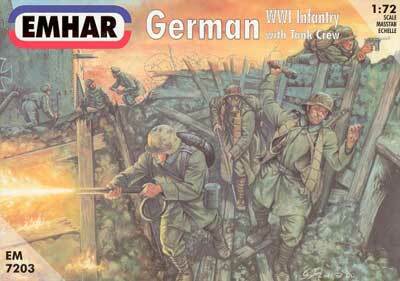 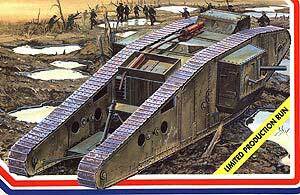 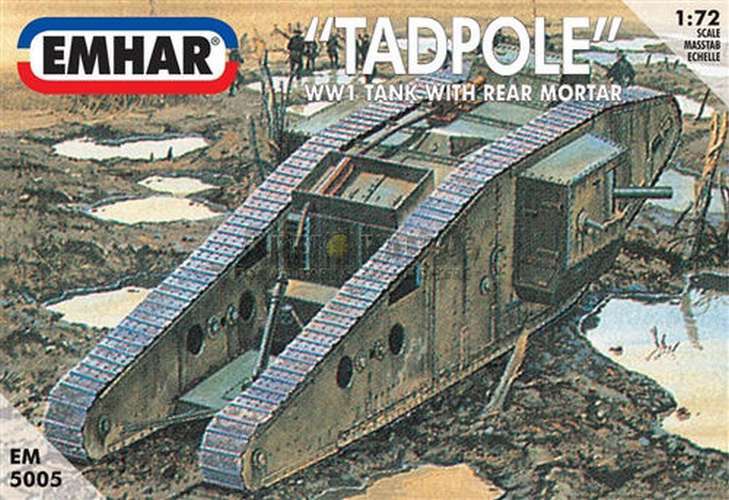 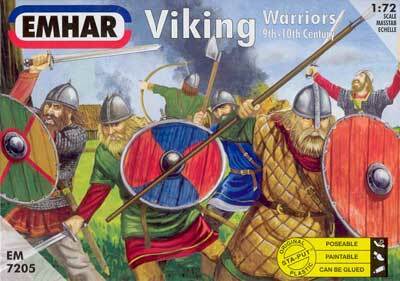 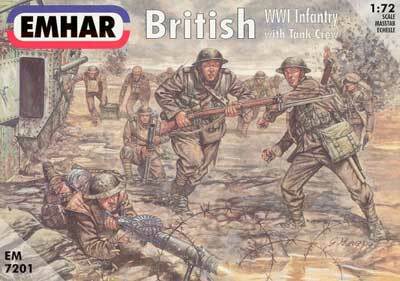 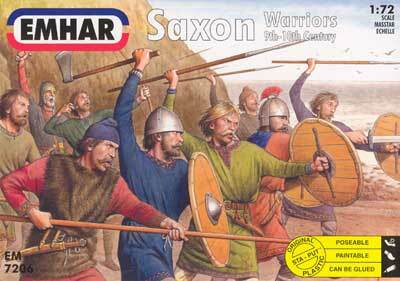 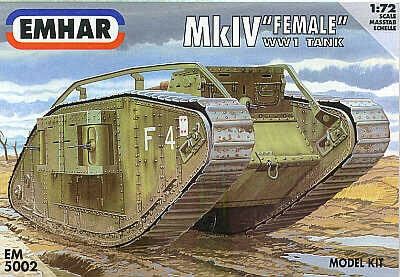 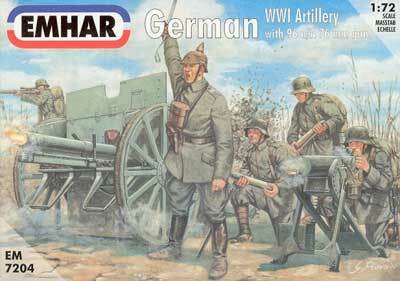 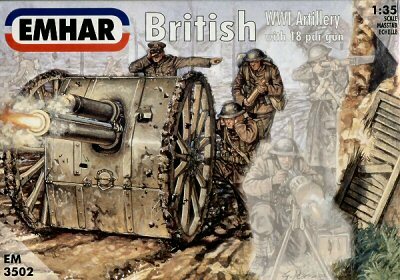 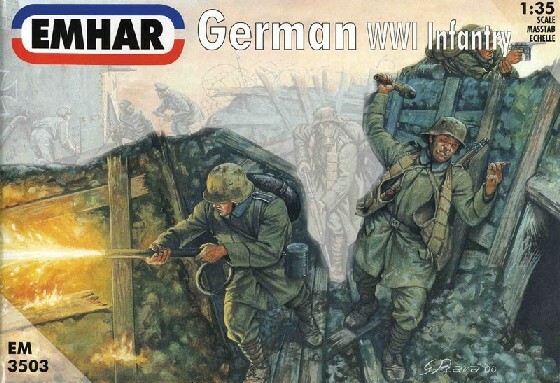 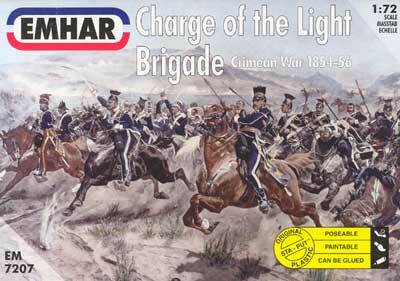 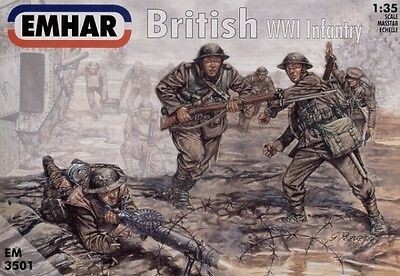 Emhar 1:72 and 1:32 scale plastic model kits are made in England. 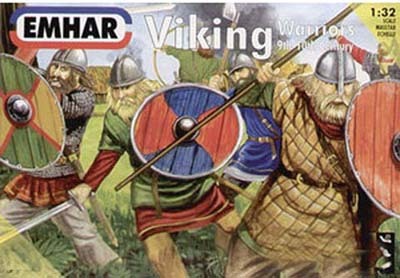 The sculpting is of the usual Emhar standard, which is to say excellent and very finely detailed. 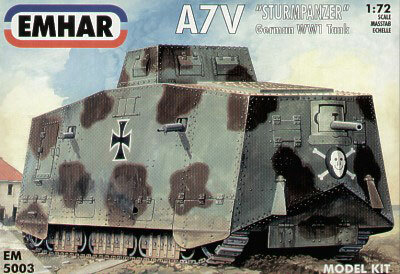 Their plastic model kits are good and well detailed – the Mk IV tank kits come with some very nice decal sheets even giving the possibility of creating so called 'beutepanzer', captured British tanks used by the Germans. 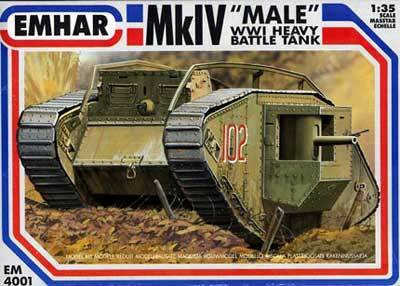 Their 1:72 scale World War I figure sets include tank crews. 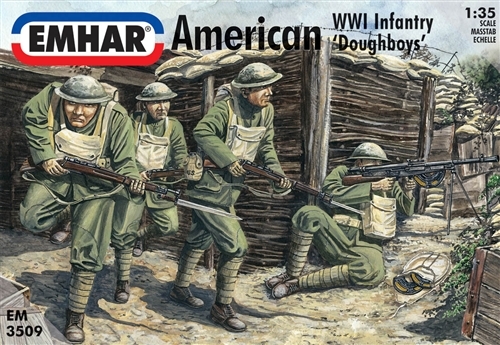 All around excellent product.